Hi everyone! Please drop by today's blog post to learn about two new features that are being released: snip editing and account level quality alerts! So, are you saying that if a moderator "snips" what he or she considers an unrelated product, the text that's in that module will disappear (be snipped) as well, even if that text is important/vital to the hub? First you say that moderators will be unable to change hubs. Then you say they'll do it just once. Or am I misunderstanding that part since I haven't had any coffee yet? Are these "snips" being highlighted and suggested and we make the changes ourselves, or are they being made by moderators? The snips are being made by moderators. When a snip is saved by a moderator, the changes are reflected on the live Hub. Because most snipping happens at the capsule level (i.e., the entire capsule is removed), you are correct when you say that the text inside of an Amazon Capsule will also be removed if the Amazon Capsule is snipped. If that text is vital/important to the Hub and doesn't mention the product, it should be in a separate text capsule rather than inside of an Amazon Capsule. If that text is vital/important to the Hub and does mention the product (e.g., first-hand experience with the product, its relatedness, why it was chosen over other products, etc), then it won't get snipped. I made a big mistake by replying to comments but neglecting to click the approved button and hope these will gradually come off my list on the statistics page. I had quite a few slipups. Sorry. Thanks for the update. I am most interested in seeing the upcoming ones related to Amazon. I know my account has problems. That said, I am very interested in the upcoming engagement feature you have on the horizon. The reason, I like the account limit instead of the hub limit, is my current hub that is liked by Google and bringing in the most traffic in my account at this point of the year. Yet, this hub violates the current Amazon limit. I would love to see the current click rate for that particular hub and of all the hubs in that series, as I believe they are driving the recent uptick in Amazon sales on my account. I would like to see some flexibility that allows some hubs to have more products on it where others have less as the data proves there is room for both. I would remove all Amazon ads from pages that hardly ever get Amazon clicks on the basis that they are just clutter and damage the reading experience. I would also make click data available to MTurkers who are QAP'ing older pages -- sometimes those ads are actually useful to readers and deserve to be kept. Yep, exactly what I did years ago. So far, no green spot invasion. If there is an invasion, I'm fine with it. I welcome anything that makes my hubs better. To my shame I have 2 quality alerts. Both are deserved. I have a few pages that I am too embarrassed to visit unless someone forces me to. Did the quality alerts tell you exactly which hubs perpetrated the no-no's?. But I think someone else wrote those pages and slipped them into my account when I wasn't looking. I could never have written such crass stuff. Were they getting traffic? If they were and HP doesn't want them, I'll take them off your hands and post them elsewhere. I deleted one. Removed all but one of the Amazon ads from the other. They were getting very low levels of traffic. I kept meaning to update them but just got depressed when I thought of them. They do not deserve a second life, lol. I know what you mean. I had over 90 hubs at one time. Down to 64 now. I had 240 lens when transferred from Squidoo, sixteen months ago. I now have 105 and more of those could go soon. I generally earn 2 to 3 times as much from Amazon as I do from Adsense-- from only a couple of hubs. I sometimes use Amazon capsules as a formatting element, with the Ad pictures showing something related to the article, even if they don't bring sales. I think you would be better off getting rid of the ad and using the picture. The kind of pics you find on Amazon are PR pics and, generally speaking, companies that provide them will be delighted if you use them. I wouldn't take pics that users upload to Amazon, though. It is against Amazon's rules to use of their pictures, whether supplied by manufacturers or uploaded by customers. At least without a link to the product in one way or another. You might like to provide a link to support that assertion. Having said that, most images are not provided by Amazon but by manufacturers or distributors for the use of shoppers, reviewers, retailers etc. So I am not sure Amazon's rules would be relevant. The other way I know it isn't a link: it's a chat I had two weeks ago with an Amazon employee. You can check for yourself using their chat system. I wanted to ask if I could create Pinterest posters using their images. Not even a single word can you add on their images, not to mention that Pinterest posters created with several of their images is forbidden and the use of their pics without a live link to them is also a big no-no. That's what I said, you can use their pics PROVIDED you include a live link to the product. Your first post implied you couldn't use them, period. I didn't meant that you said otherwise, but from what I've heard these past weeks regarding this matter, lots of people think that just writing "pic. courtesy of Amazon.com - or - Amazon dot com" - is enough. Those kinds of "links" are not live... My post was not intended to upset you in any way, I just wanted to make things clear. As an affiliate you are allowed to use the pictures, provided you include a link to the product. Virtually every company proclaims copyright on its publicity photos in case the images are used in a misleading way that harm users. At the same time it would be PR suicide to start using DMCAs against people using the images legitimately (i.e, as a way of showing what a product looks like). If Apple, for example, handed out DMCA's to bloggers simply talking about its products and using its PR images then the only result would be that a few hundred thousand legit bloggers would stop talking about Apple and a few million who did not care about legality would continue. My last comment on this. Indeed but NOT without a link to the product. Yet using images without a link was what was suggested and that is why I posted this reminder. This being said, what a not live link to them would bring to the affiliate? Nothing... not even worth doing it. You are wonderfully focused and should go far. I think this will help a lot to improve the quality of our hubs. I am new on Hubpages and I can appreciate any help I can get. 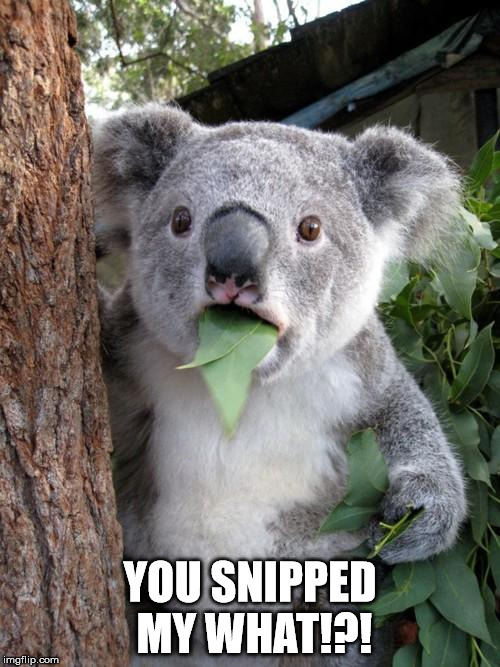 I am confused about the "snipping" feature. Is an editor actually going to remove/change items from my page without my permission -- or are they going to simply highlight what they would recommend that I change? Me too. I had assumed we had to remove the excess or unrelated products. This could be a way to force revisions on hubs that have evaded scrutiny for years as well as a motivation for many newer pages to be updated. I just hope we have adequate time to make changes and Christmas is not necessarily going to be the best time to be sitting at a computer editing hubs. They are actually going to make changes (fix spelling/grammar errors in titles and remove capsules or links) to your Hub so that it complies with our standards for being Featured. Prior to snip editing, moderators would simply defeature any Hub that didn't meet our standards, even those that were very close. Now, the Hubs that are just below the border can be fixed when mods see them without needing to be defeatured. As with any type of editing on HubPages, you have the ability to reverse the changes. Please allow authors to snip irrelevant links added by HP to their pages in the 'Popular' and 'Related' Lists added by the system. Or get the Moderators to clean them up with their shears. Many of these links are so unrelated that they are just plain stupid. Users would clearly see these as spam. They damage the reputation of the site. They are damaging rankings. Google hates them now, and the new Penguin looms. What is good for the goose is good for the gander. => How to Make Pork Stock; and Why You Should! Are you sure the sidebar links are that bad? Or are you just upset that HP will not let you interlink your pages? Why not just ask them for a clear explanation of that policy? There might be options for you. You have a thousand pages and no one has ever posted more graphs in the entire history of the internet. Send an email about your links and demand an explanation! Been there, done that. HP won't change their policy. I don't agree with their reasoning. I suspect an ulterior motive, which is obvious. But my suggestion re: the goose and the gander, and even the turkey, is relevant - surely. Interestingly, there has been no response from HP staff to 'What is good for the goose is good for the gander' in relation to snipping irrelevant links in side bar. I wonder why? Ho hum! The link system needs to be improved urgently. Don't worry, your shunning has been noticed. It reminds my of an Aussie Song, modified a tad. And curses the old snagger with the bare-bellied yoe"
OK, so I've survived my first "Your Hub has been snipped!" experience. One of my older Hubs had gone "unfeatured" earlier today due to lack of traffic, so I made a few changes to it and threw it back out there. I guess the "snippers" got hold of it while it was in the queue waiting to be re-featured. Sometimes people need to be forced to the right thing. I certainly include myself in that. It will be very helpfull to others. Thanks for spam! It will not be helpfull to anyone. When the first editbot came along "way back when", the forums were almost burned to the ground. Mr. Snip comes along this week and hardly a quiver. I think we've finally been trained. Or maybe there aren't many people left to object. I suspect that people are punch drunk - hit so many times, in so many ways - unfeatured for this and that, Pro-ed, snipped, clipped, spelled, de-product-ed, de-sub-ed, de-linked, de-traffic-ed and not listened to. Sadly writers have become chimps with manual type writers, feeding in streams of words to the editors. The sense of individuality and being in control of your destiny went down with the subs, and the obligatory edits. What's next! => Please note: adding back products to this Hub will likely result in the Hub being defeatured for quality. => Please note: adding back links to this Hub will likely result in the Hub being defeatured for quality. => Please note: adding back keyword stuffing to this Hub will likely result in the Hub being defeatured for quality. But it will probably recover, if I am patient. Cheers and Goodbye to the forums. No. I am serious. Don't make me find my photo of my Desiderata plaque. You are one of the good guys. @ Dr. John Anderson... Your forfeit is not acceptable. You shouldn't give up. You have always made a good contribution to these forums even if you do complain rather a lot, lol. edit: on second thoughts, taking a break from the forums now and again is no bad thing. Come back refreshed. Agreed... I bend with the wind, so to speak, but I can see moving day looming. People complain about the garbage on this site then complain when HP makes moves to clear it out. These quality assessment processes should consign a lot of poor quality pages to oblivion. They will also inconvenience many high quality writers to a pretty small extent, as some of their pages fall foul of the assessments. Isn't it worth a little inconvenience to give the site its best chance of survival/prosperity? However, it is a little tough on some who have come in as novices, and were able to improve by learning from their mistakes. It might be tough on all of us if HP go too far, or just plain get it wrong. I reckon they should get the benefit of the doubt for now. This sounds good to me . Seems to me they've just given the HubPro editors a different name and remarketed them as "Mr Snip Editor"
Well apart from those that are already unfeatured and on the "to do" list in terms of moving off HubPages - but still generate traffic and sales based on all the links to them that still exist on my blogs etc! I was a little taken aback to find one of my pictures had changed. A fairly ordinary stickman - but one I was quite proud of - had been edited so his hat was set at a more jaunty angle. Fortunately that gives a new fresh feeling to the artwork and may result in an increase for the keywords "Jaunty angle hat man". I reckon you must have nailed 'jam hat man' already. Or 'asymmetrical sunburn'. Or both.